All of our courses are specifically designed to help you meet your PDH requirements. We have built our courses according to Professional Development Programs standards as laid out by the IDFPR Professional Development Administrative Code. 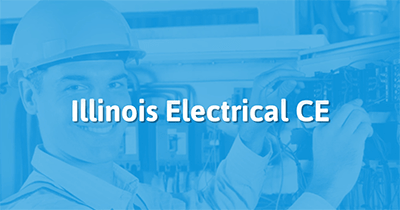 Complete the continuing education to renew your IL electricians license today. All of our courses can be completed At Your Pace Online to help you meet the state's requirements to maintain your license. Once you finish your class you will have an official certificate of completion to save for your records, and we will report your course completion to the state for you. The IDFPR requires that Electrical Engineers complete a total of 30 Professional Development Hours (PDHs) by November 30 of odd numbered years. This all online package has been designed for Electrical Engineers to fulfill their Professional Development Requirements online! In this course we will cover Electrical Industry subjects and updates to the 2017 NEC. Topics in this package include wiring and protection, wiring methods and materials, special occupancies, special equipment, equipment for general use, arc-flash hazards, OSHA safety practices, and more. 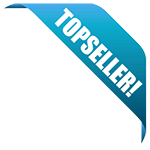 At the end of the course you will be able to print your custom certificate of completion to keep on record. This package has been designed for Electrical Engineers to complete 11 Professional Development Hours all online! The course will provide updates to the 2017 NEC and will cover the following topics general, special occupancies, and special equipment. This package has been designed for Electrical Engineers to complete 8 Professional Development Hours online! The course will cover the following topics, arc-flash hazards, OSHA safety practices, and photovoltaic systems. This package has been designed for Electrical Engineers to complete 6 Professional Development Hours online! The course will provide updates to the 2017 NEC and will cover the following topics, equipment for general use and special conditions. This package has been designed for Electrical Engineers to complete 5 Professional Development Hours online! The course will provide updates to the 2017 NEC and will cover the following topics, introduction to the 2017 NEC, wiring and protection, wiring methods and materials, and communication systems. Upon completion, print your own custom certificate to keep on record.